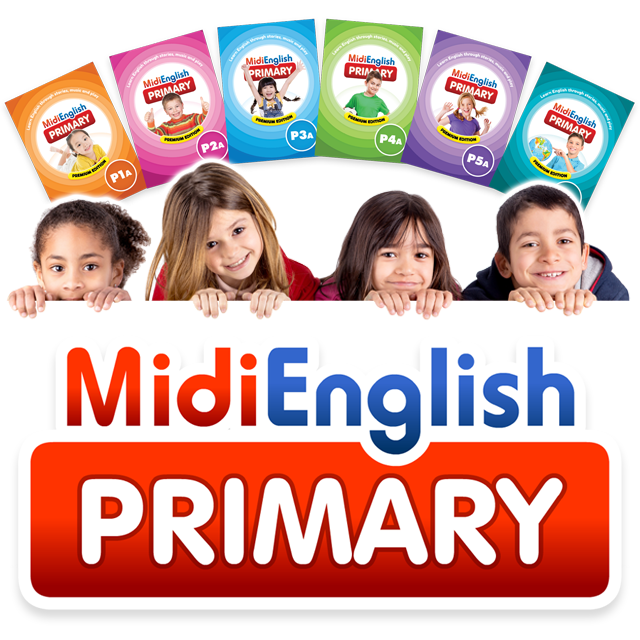 MidiEnglish Primary is an English program that caters to Primary levels (ages 7 to 12). The program comprises a series of storybooks, activity books and multimedia resources. Children acquire English skils through a variety of reading materials, speaking, listening and writing exercises, as well as fun and engaging activities that enhance language skills. 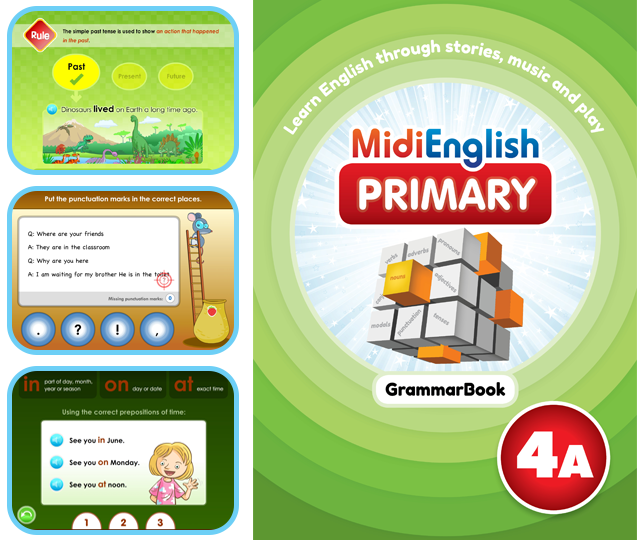 MidiEnglish Primary places an emphasis on reading and the enjoyment of the English language. Storybooks are used in place of traditional textbooks to teach students the skills of reading, listening, speaking and writing. Enables students to acquire language skills in a gradual manner to increase their confidence in English usage. 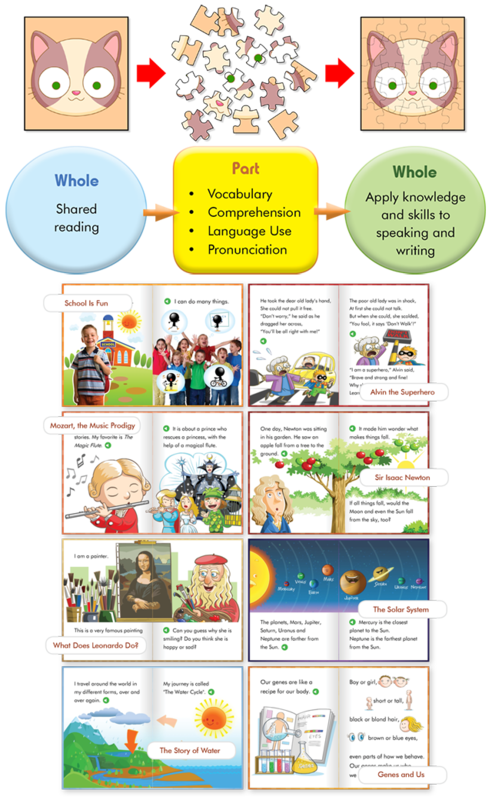 Storybooks are used to expose students to various text types and language use, while cultivating their love for reading. The curriculum is carefully structured to ensure children acquire the key skills in listening, speaking, reading and writing. Relates language learning to real life situations to enable students to employ and practice their language skills in daily settings. Students are taught grammar in a structured and progressive manner, giving them a strong foundation in language use. Interactive resources enable children to learn through play, and prolong their attention span. Gesture-based games using the Kinect play system are also incorporated to give English lessons a fun edge. 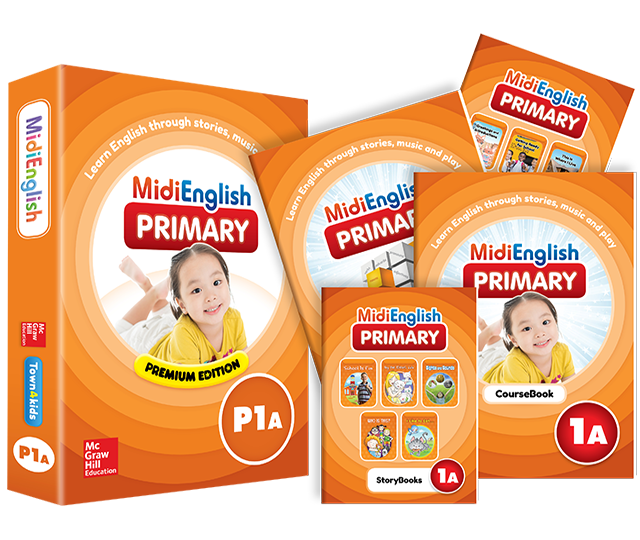 The MidiEnglish Primary Student Pack comprises storybooks, workbook, assessment book, grammar book, speaking and writing book, reading cards and audio CD. 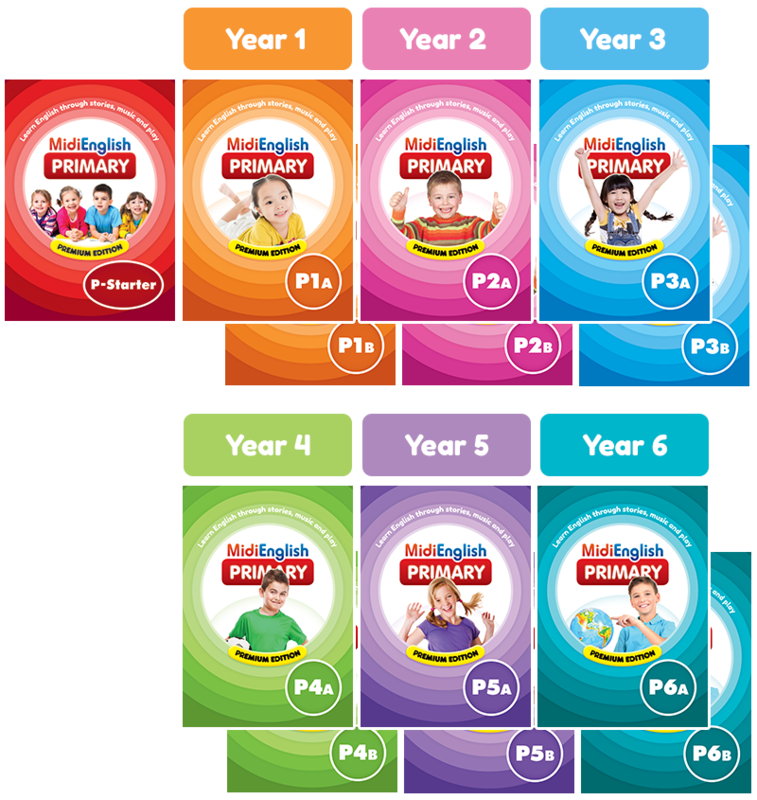 These print materials are supported by interactive content used in the classroom, and reinforced in the home learning app. 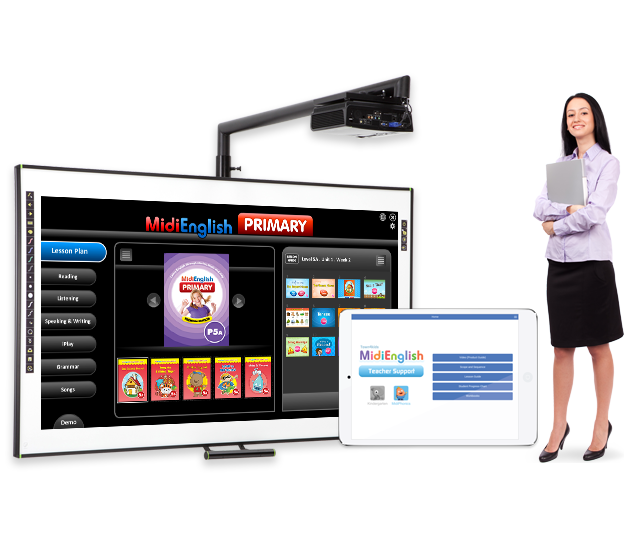 Classrooms are equipped with the MidiEnglish Interactive Multimedia Library - a treasure trove of interactive lessons and activities designed to work on the interactive whiteboard or interactive projector. 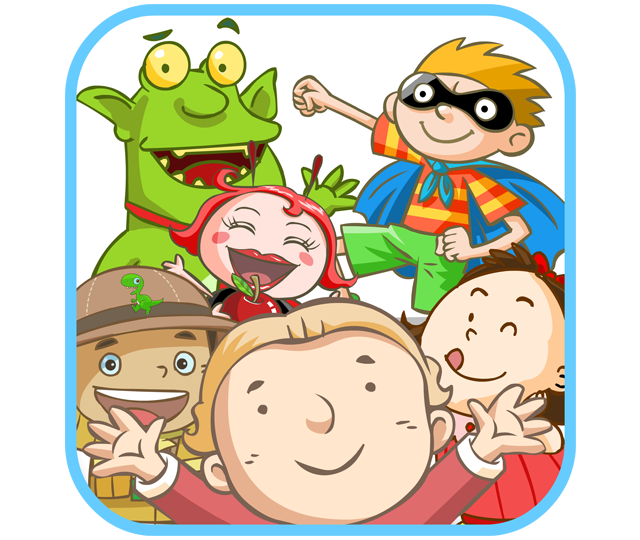 In addition, gesture-based games are incorporated to give English lessons a fun edge. Every unit of the program is centered around a story with a theme. These stories of different text types provide the context and content for students to think and talk about in the classroom. Learning is extended through a range of engaging activities designed to approach the English language both as a whole and in their parts. Apart from exposing students to language use in the context of stories, students are taught grammar in a structured and progressive manner. The combination of these approaches makes learning grammar memorable, and helps students develop confidence in constructing sentences. The program includes specialized modules on speaking and writing to develop students' productive skills. Conversational skills are also taught to introduce common and functional use of language, such as greetings, asking questions, making requests and other forms of self expression. A selection of activities integrate live video captures with animated graphics. Teachers can make use of this technology to introduce new concepts and encourage children to participate in lessons. In addition, motion-based games are incorporated to give lessons a fun edge. 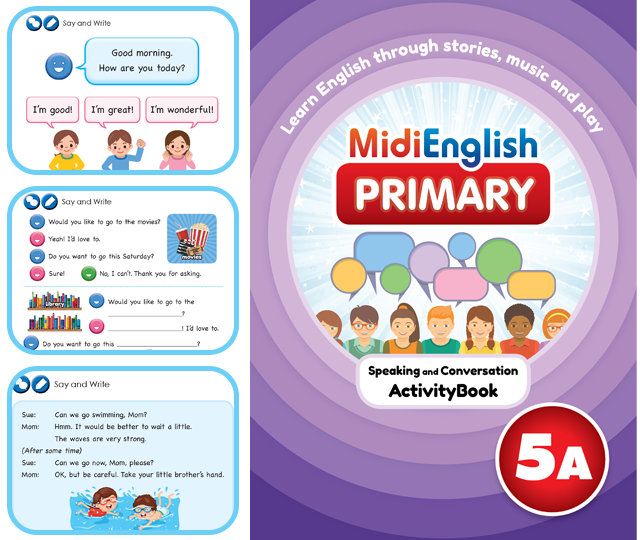 With the MidiEnglish Home Learning app, learning is extended from group learning in the classroom to independent learning at home. 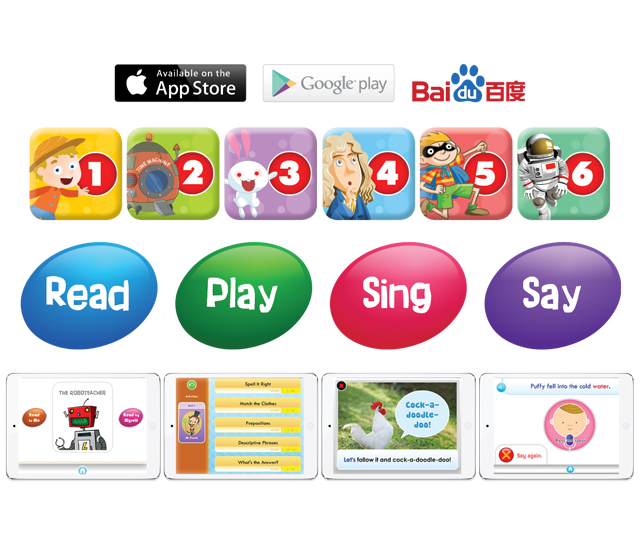 Children can listen and read along with the animated readers; sing jingles and songs; play word activities; and improve their pronunciation and reading skills with the built-in speech recognition function. Teachers are provided with teaching resources, including lesson guides and teaching suggestions. The program comes with a Teacher Support app for use on mobile devices to view workbook pages, lesson guides, program information and training videos. 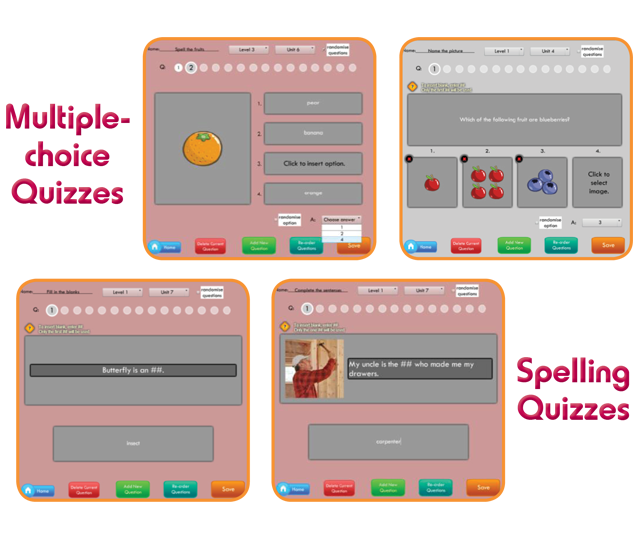 The Quiz Creation Tool enables teachers to create custom-made quizzes for students to access on the Home Learning App. Teachers will be able to save and build their own quiz bank to cater to the needs of students at the various stages of learning. Built-in assessment tracking tools are included in the Teacher Support App and the Student Home Learning App. 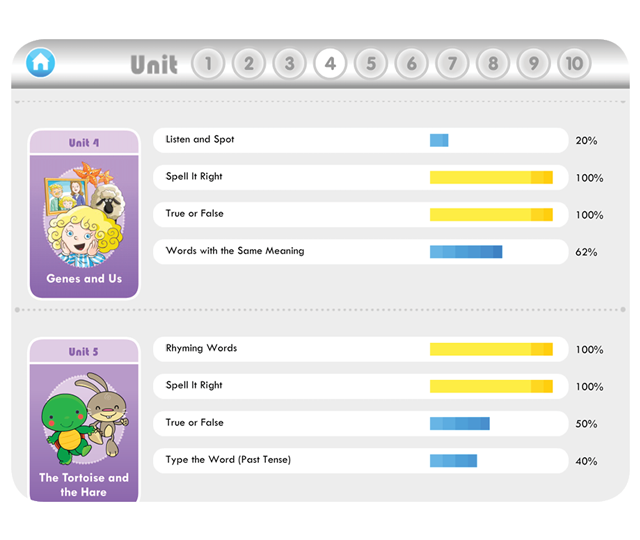 Teachers and parents can track the progress a child has made in the word games and reading exercises that come with the Student App. 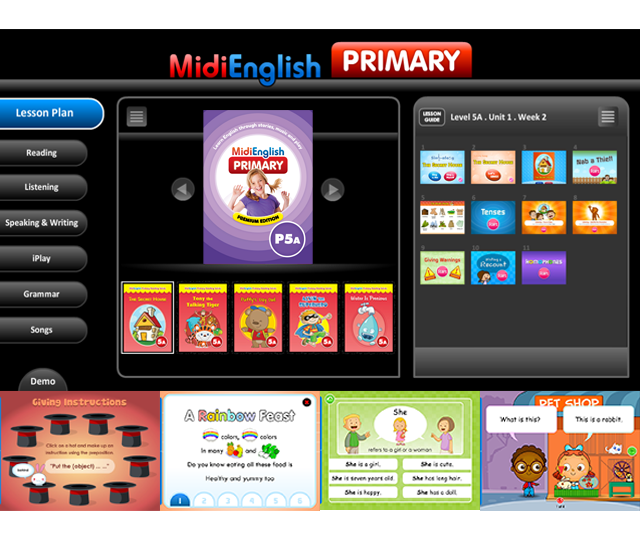 MidiEnglish Free Trial is applicable only to schools and language learning centers.